If you have oily skin, you need products that control shine and minimize the appearance of pores. 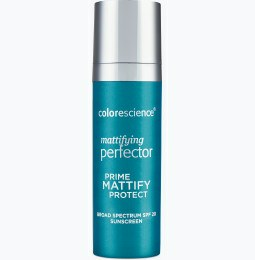 ColoreScience makeup for oily skin provides long-lasting coverage to give you a brighter complexion. What skincare ingredients should I avoid if I have oily skin? A healthy amount of oil keeps skin hydrated and reduces signs of aging, but too much oil can clog pores and cause acne. Some people who suffer from oily skin go to great lengths to find a cure. From dehydrating astringents to harsh exfoliates, those who have oily skin might use products that don’t work—or make their skin worse. There are hundreds of brands claiming to have effective products for oily skin, but not all live up to the hype. Avoid products that contain dehydrating elements like isopropyl alcohol, ethanol, sodium, or ammonium lauryl sulfate. These ingredients dry out the skin, which can stimulate your glands to produce more oil. Look for cleansers and moisturizers that are sulfate-free to nourish your skin. Other products may have a pore-clogging effect on your skin. Mineral oil, petrolatum, isopropyl myristate, and isopropyl palmitate are the main ingredients that can clog pores and cause acne. Even natural oils like coconut and hazelnut oil should be avoided. Can I wear makeup with oily skin? Yes! 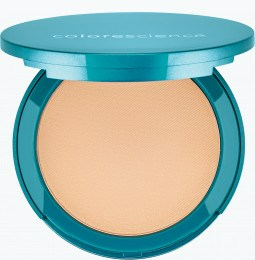 ColoreScience oily skin cosmetics help neutralize shine while giving your skin a radiant glow. If you’ve struggled with products that clog your pores, irritate your skin, or don’t provide enough coverage, our oily skin makeup will give you a smooth, photo-finish with none of the grease. Our organic makeup products are non-comedogenic, meaning they won’t clog your pores. After you apply a skin-friendly moisturizer, create a base with our oil control mineral primer. 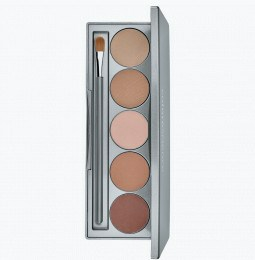 If you want to add foundation for velvety coverage, choose our mineral foundation for oily skin to create a matte look. ColoreScience cosmetics are made with your skin type in mind. Our makeup products go on smooth, not cakey, so you achieve a natural look while cutting down shine. Revitalize your complexion and nourish your skin with ColoreScience cosmetics for oily skin.